it’s basically already the most wonderful time of the year | you seem nice. 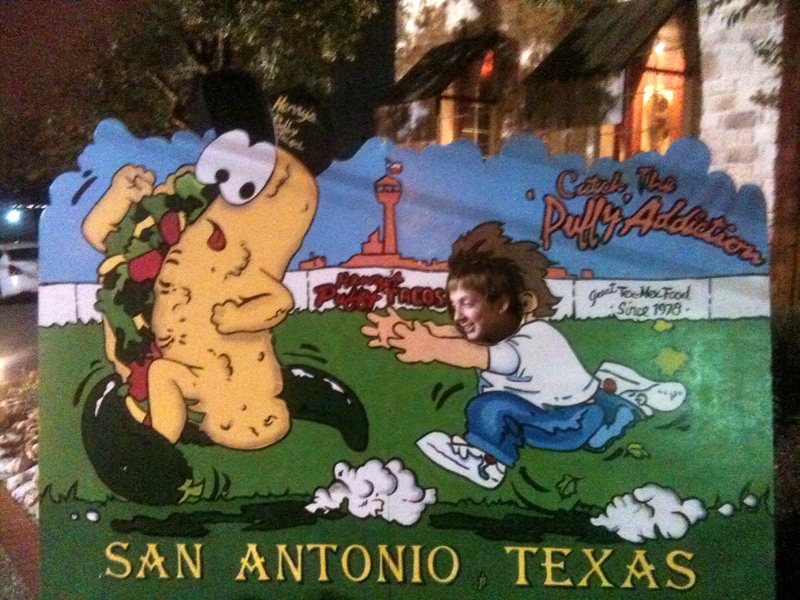 this past weekend was spent in sayhn ayhn-toe-knee-oh (san antonio). that was an attempt at a twang. pretty sure it failed horribly. whatevs. speaking of. has anyone ever had a puffy taco? 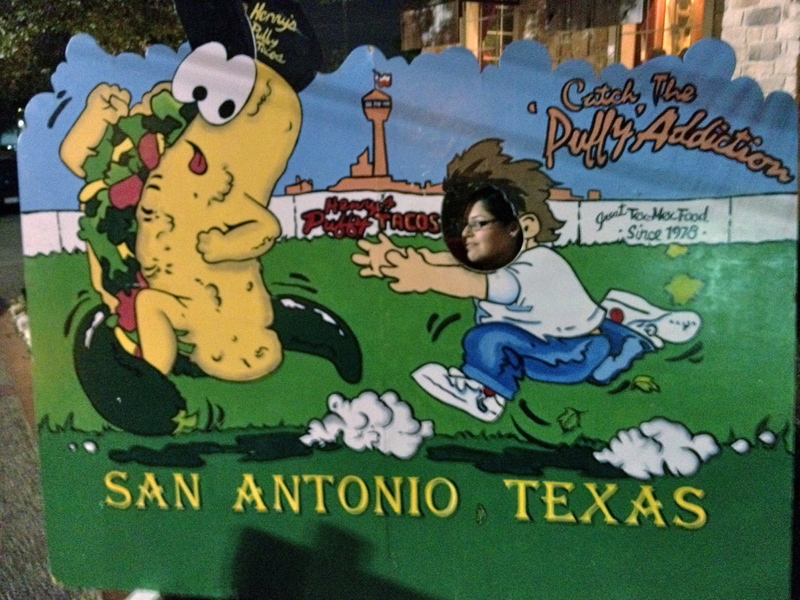 i only know of the puffy taco because last time i was in san antonio with my family, we went to a san antonio missions game. 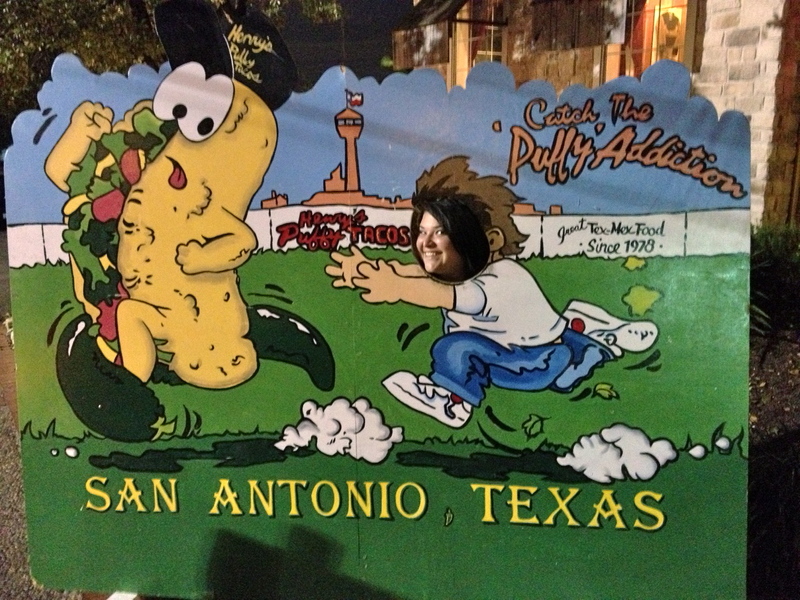 their mascots are the puffy taco and ballepeno (like jalapeno). adriana made fun of me because i knew that. i can’t help that i know useless information. i just can’t. so we had puffy tacos at this place called henry’s puffy tacos. they were pretty good. you've gotta be kidding me. straight out of a movie/tv show. reaction after they said they would hold my purse ransom until i took a picture: SERIOUSLY!?! you still gotta be kidding me. i wasn't as excited as adriana. or jeff for that matter. those 2 don't joke around. they commit. these reminded me of those awesomely horrible portraits where it’s just a fuzzy floating head+shoulders with a black background in addition to another portrait in the corner. do you kinda see what i mean? doesn't matter what the occasion is, i clearly don't care. 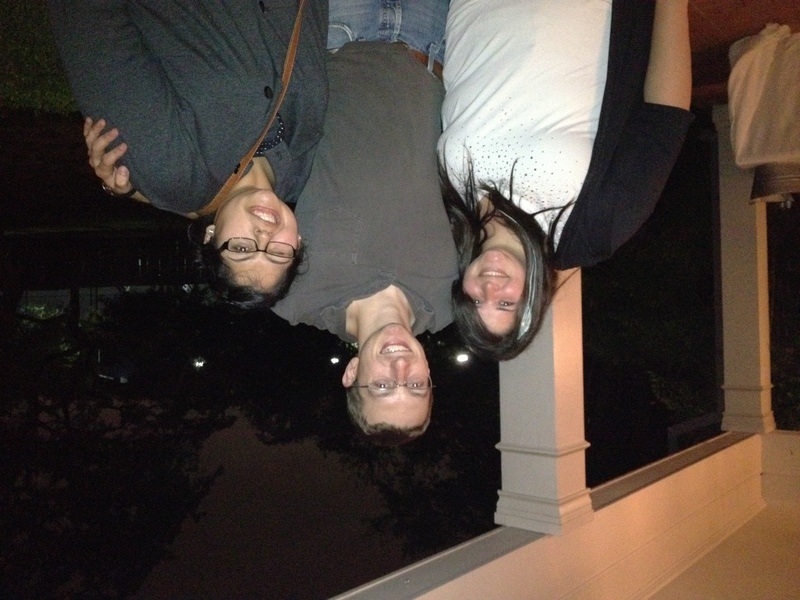 after that, we went to new braunfels to visit her mom. mom: i got your list. i think it was missing some [items or pages]. it was just books. i think she was expecting flashy things she’s never heard of unless they’re on the today show as a dangerous trend or something that’s so ridiculous it is a trend. and i know it sounds like my list is super long, but it’s literally less than 10 items. and for the record, i had more than just books, i mean…there are more books than anything else, but there are some dvd-like things on it, too…and some fancy gadget that i’m thinking would be awesoooome. but whaterr. look what it can do! YESTERDAY (11/11) i went to the most anticipated shnazzy flea market of the year. that’s right, the nutcracker market. we ran into my grandma first…and i realize how i called attention to her was a little rude/strange. i saw her walking in the opposite direction, so i naturally stopped walking, pointed at her and said ‘stop that woman.’ um. she looked at me in confusion before recognition set in. she laughed and said my name like i’d done something wrong. (uh-LIH-suuUUUH. i like spelling things phonetically). we chatted for a few minutes and informed us of the gang wandering around. from that point on i was on the hunt. so later on, my mom and i are in this jewelry booth that she likes to visit every year and i had paid for some earrings when i look into the main aisle and i see aunt #1. that was enough for me. i decided it would be hilarious if i accused aunt #2 of stealing something by approaching them from behind. now, i see how that could’ve gone wrong. me: excuse me ma’am, but someone said they saw you steal from our booth. being in main aisle didn’t help. it was about a 3 second scream which felt like forever. they were drunk. and were currently drinking bloody marys. 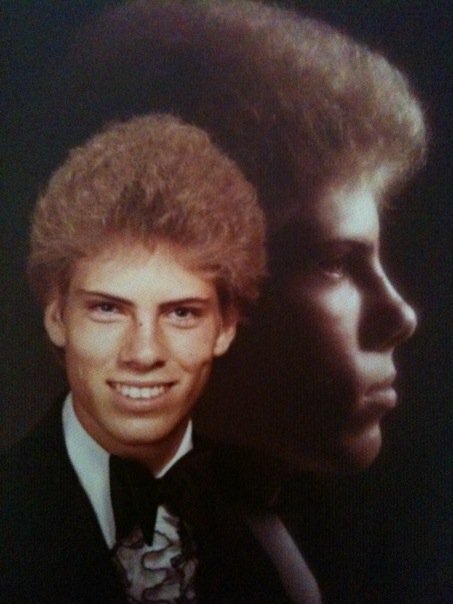 my uncle had turned his back to us and walked back a few feet because he said he saw ladies looking at him thinking he had done something to deserve the screams. then he kindly scolded me for my attack. later today i’ll be a production assistant for the bad girls club casting call with christine! did anyone know they’re on season 9? anyway, i’m excited…but also nervous that they’re gonna try and beat me up. or they’ll think i have some sort importance to the show and be super nice to me. doubt it. but it’s an option. also, did you know it’s like 12 days until thanksgiving!?! ridiculous. and like 4 weeks of school related activities left!?! i’m ready for the break. and time for crafting. and then christmas break. and more time for crafting. and lack of work. and crafting. until next semester. blah.